I’m excited to introduce everyone to Emma Ferrer, Audrey Hepburn’s granddaughter! Now, anyone with famous lineage is often expected to follow in the footsteps of their family in the vein of the Barrymores, Baldwins, Trumps or Missonis. It’s only natural that one would travel on a path that has been provided for them. 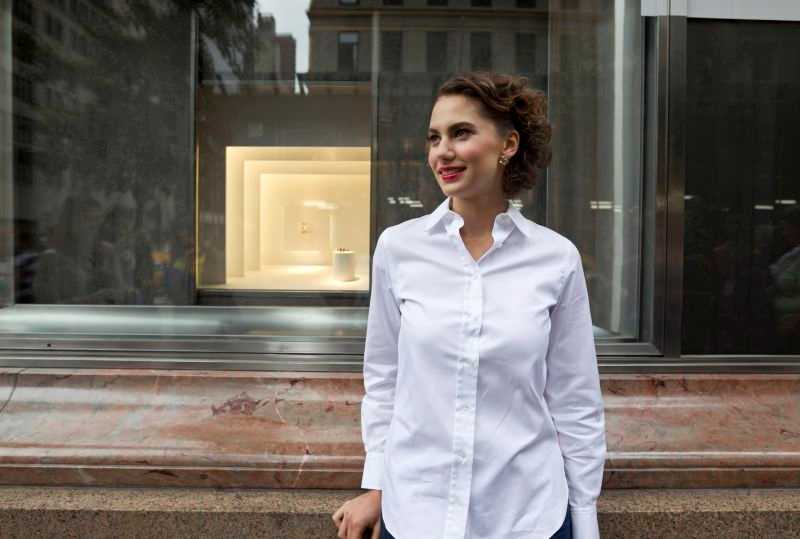 Emma Ferrer, however, is carving out her own space in the realm of the arts. The granddaughter of the iconic Audrey Hepburn, Ferrer has a strong legacy to continue or, to some, overcome. 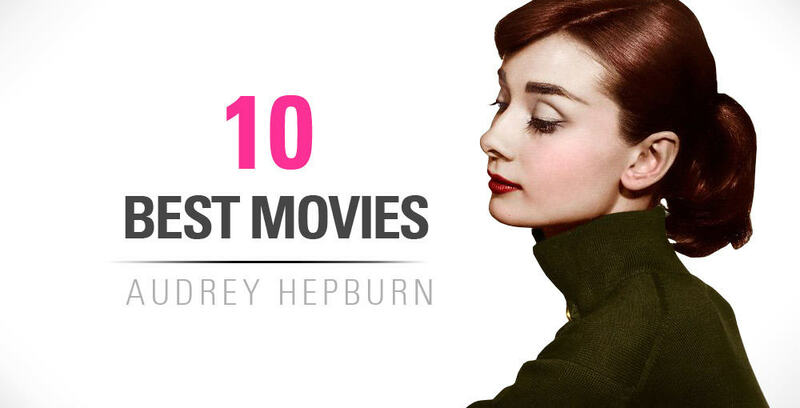 Hepburn possessed a presence so captivating that she lives on in the minds of people young and old as a legend. The star is synonymous with Hollywood at its most glamorous, a time when celebrities still seemed to be on a plane of existence far above mere mortals. Although Ferrer shares a comparable career start with her famous grandmother as a dancer-turned-working-model, she currently has no aspirations to the big screen. Harper’s Bazaar featured Ferrer on its September 2014 cover, making her the focus of a spread dedicated to the late Hepburn and her fashion legacy. The physical similarities between the two are noteworthy; Ferrer shares the trademark dark hair, height and ballerina-like grace that made her grandmother so iconic. Those distinctive looks likely earned her a contract with the distinguished Storm Modeling Agency, which launched the careers of well-known models Kate Moss, Cara Delevingne and Cindy Crawford. Ferrer made her runway debut with Lanvin in Spring 2015. Ferrer is undoubtedly a jill-of-all-trades when it comes to artistic endeavors. She began her art career during her elementary school-age years, taking ballet classes and attending the private Crossroads School for Arts and Sciences in Santa Monica, California with many other famous children of Hollywood like Kate Hudson and Jack Black. There, she learned basic art theory and explored her personality as an artist, learning by reproducing the work of some of her favorite painters. Her love of capturing life through the canvas led her to continue studying art in college, with the subject matter of work focusing on the human figure. account displays a medley of creative pursuits: her latest art productions (her preferred mediums are oil, charcoal, pencil and plaster), recent photoshoots with high fashion brands like Dior and Kosé, travels across the globe with family and friends, paintings by artists she admires (Andrea del Sarto and John White Alexander are a few) and highlights of her work with The United Nations Children’s Fund (UNICEF). These snapshots of her everyday life offer immense insight into her unorthodox upbringing. Born in Switzerland and whisked away to Italy after a childhood spent in California, Emma Ferrer was largely free of the intrusive cameras of paparazzi and dangerous distractions that are common in the lives of many high-profile Hollywood offspring. The result is a cosmopolitan young lady who speaks four languages, graduated from Florence Academy of Art in 2016 with a focus in classical figurative painting and, like her grandmother, has chosen to lend her modeling and famous name to many humanitarian efforts. Now, after almost a decade of living in Europe, Ferrer is getting reacquainted with the American way of life. She chose to move back to the states when the Florence Academy of Art opened a branch in New York City. She has her own studio and continues to work on her craft while pursuing her modeling career. This modern woman is all too aware of the idiosyncrasies her life shares with that of her grandmother. “Does art imitate life?” she wrote in a blog post for the Florence Academy of Art. “Yes, however it is not a work of art that makes a conscious decision to do so. It is the artist. The artist looks at, into, around, and towards life. After feasting on all that it has to offer he emulates life in artistic mediums.” Despite the bright lights that loom over her future, the medium Ferrer chooses is sure to be one in which her own, unique character can make a statement. Read more about Audrey’s grandchildren and children, if you’re interested in learning more! She looks just as graceful as her grandmother! Emma Ferrer in a field wearing a black wool coat. Previous articleAudrey Hepburn Grandchildren – Who Are They & What Are They Doing?